The models and video instructions are intended for personal, non commercial use only. 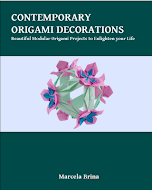 Copyright of the origami models and video instructions belongs to the creator/designer/diagrammer. The videos available in this page can be linked, but cannot be uploaded to other sites without my written consent. The instructions for the heart used in the Valentine's Day card are on my first video, "Origami Heart Flower and Heart". I am interested to make the heart shown in the Valentine's Day Card. I had tried to see the video "Origami Heart Flower and Heart" and found it was not the same model. Please advice. Thanks a lot. From the video "Origami Heart Flower and Heart", fold the﻿ heart module (from the beginning of the video up to minute 5:16), then skip the heart flower instructions and go to minute 7:34, where the heart instructions start. The heart at the end of "Origami Heart Flower and Heart" is the same as the heart in the minute 3:13 of the video "Origami Valentine's Day Card". 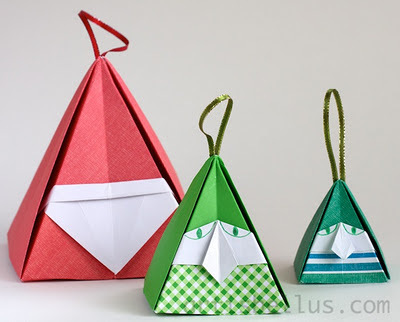 The extra folds in the center of the heart are used to lock the envelope of the card and are shown in the video "Origami Valentine's Day Card". Thank you so much for the wonderful videos .I will try to make them because I like all of them.Have a nice day! Огромное спасибо за подробные видио, очень рада что нашла вас, вчера пробовала коробочки для подарков, хочу попробовать цветы и сердечки, успехов вам!